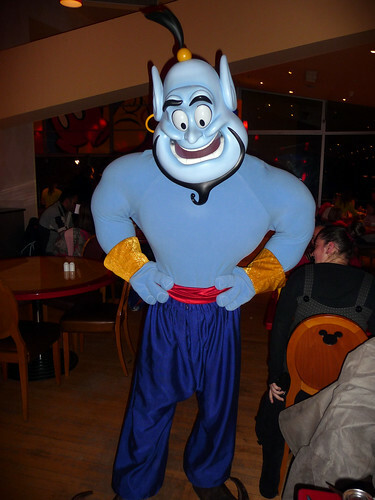 Trapped for 10,000 years in a lamp not only gave the Genie a crick in the neck, but also made him quite eccentric. 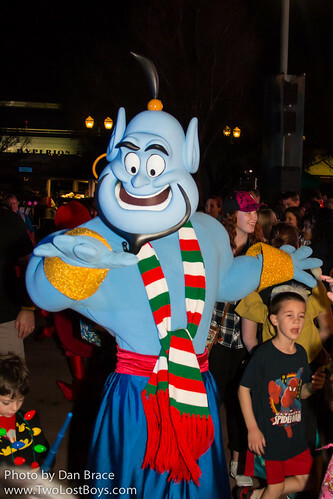 Granting just three wishes to his master, the Genie is excitable and childlike, but also incredibly powerful. 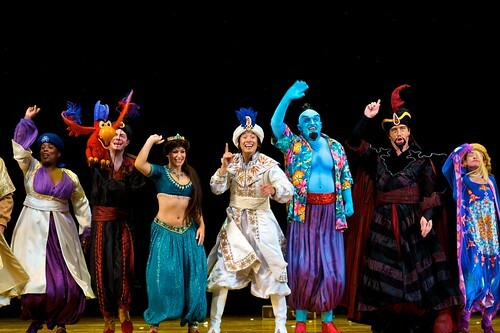 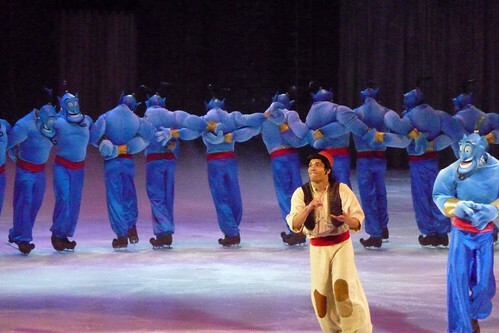 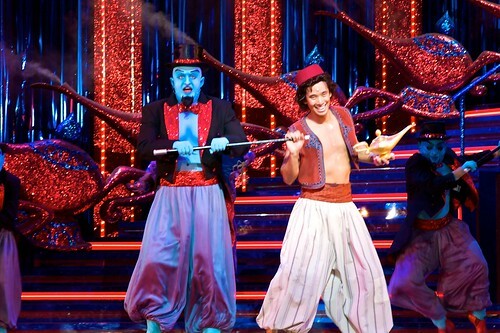 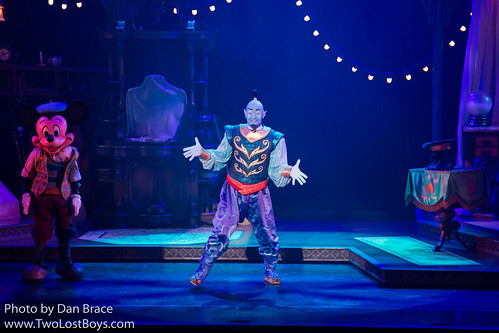 The Genie longs to be freed from his imprisonment, and after millennia of granted others' wishes, he is finally granted his own by the young Aladdin. 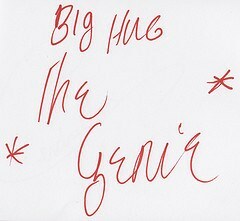 Caring, magical and fun, you'll never have a friend like him! 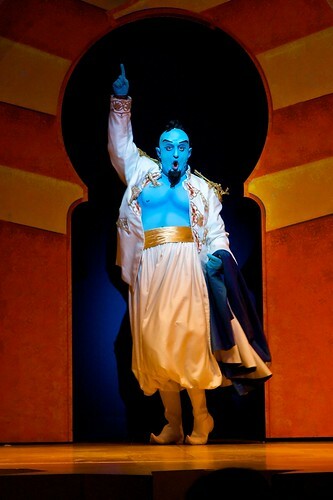 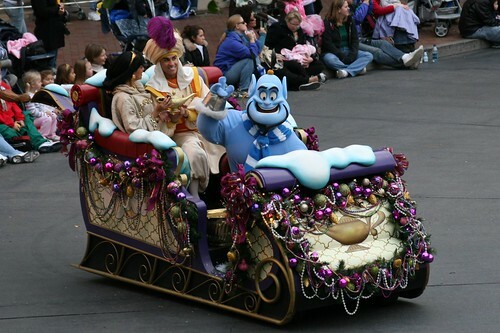 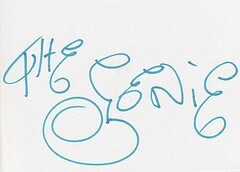 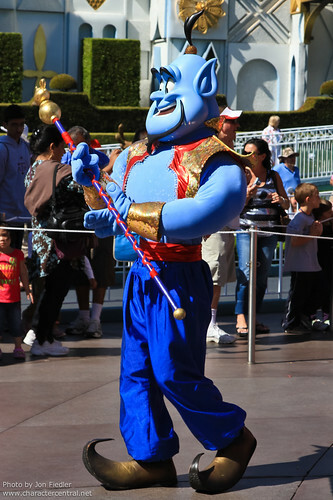 The Genie does not make regular appearances in WDW. 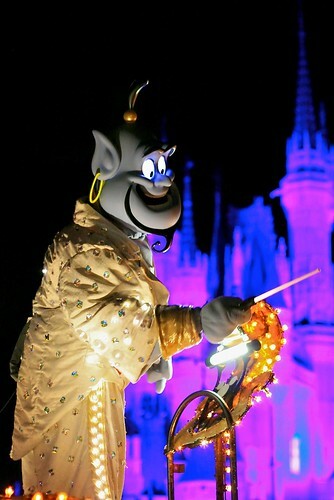 Your best chances are at the Halloween or Christmas Parties in the Magic Kingdom. 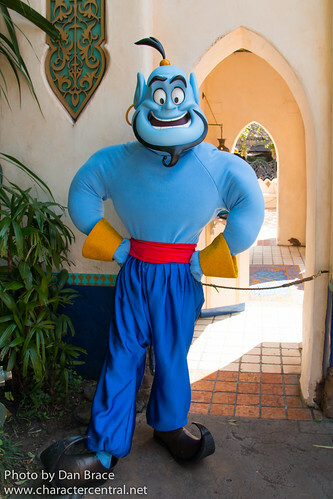 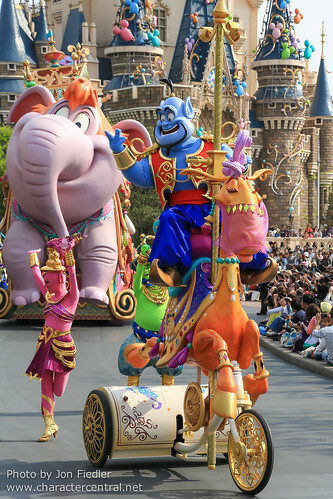 In Disneyland he can make random appearances at Aladdin's Oasis in Adventureland, or in Fantasyland. 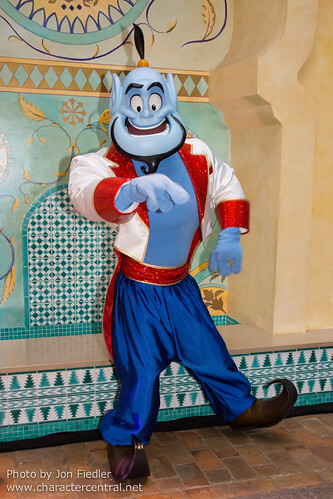 In Disneyland Paris he is often out in Adventureland, around the Bazaar area. 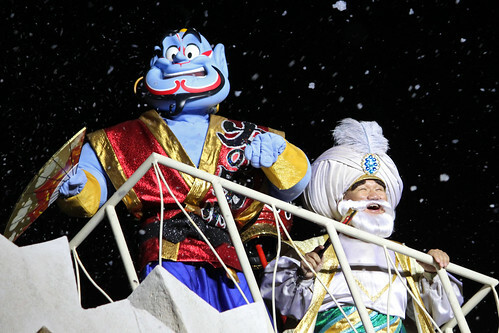 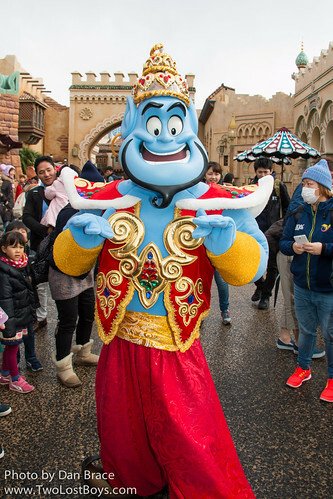 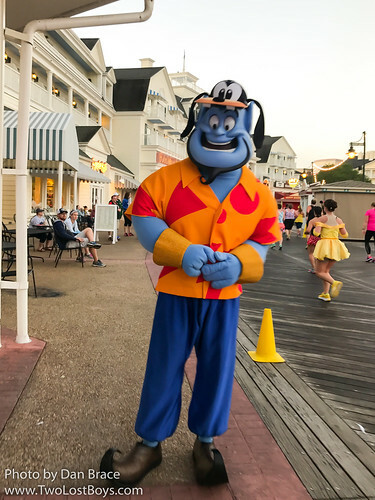 In Tokyo you can often meet him in Arabian Coast at DisneySea. 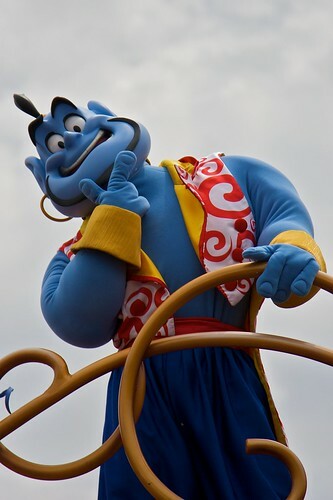 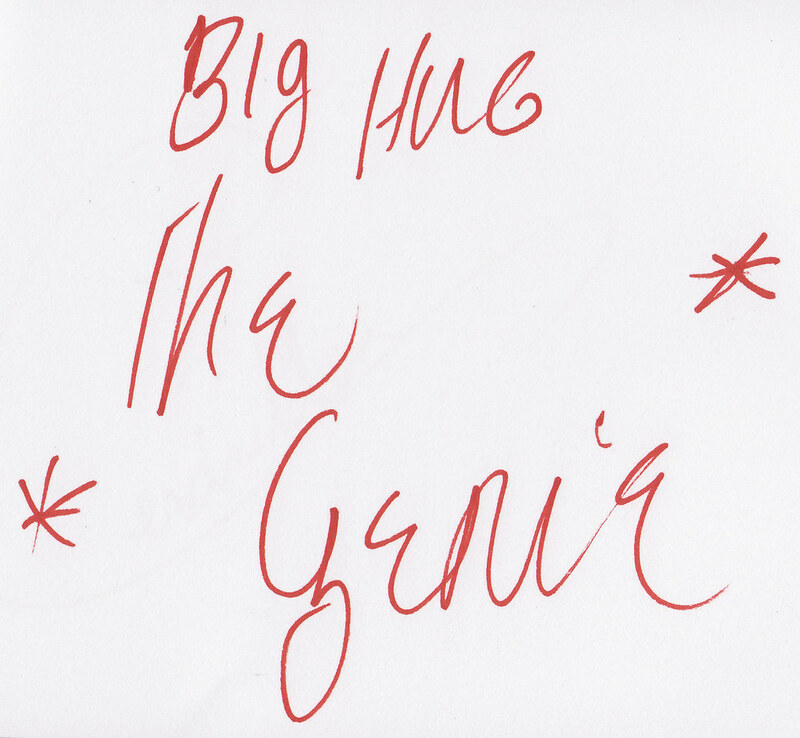 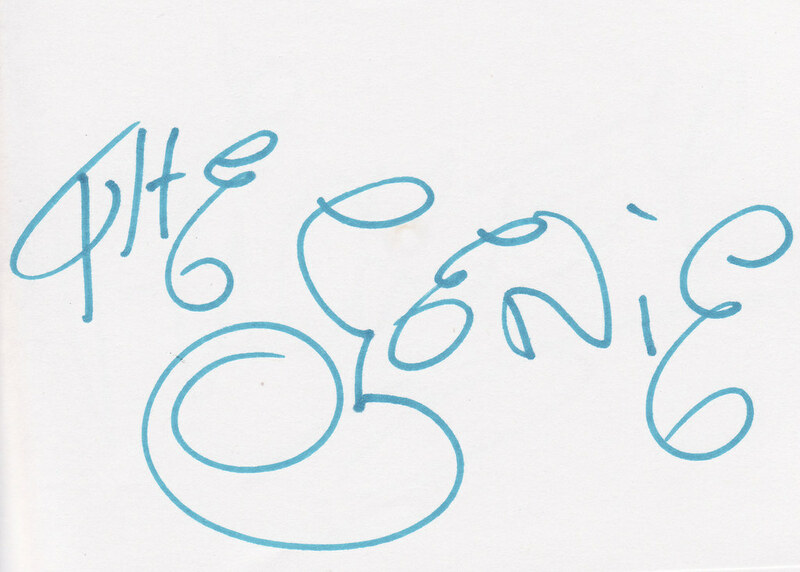 As far as we know, Genie does not meet in HKDL or on DCL.